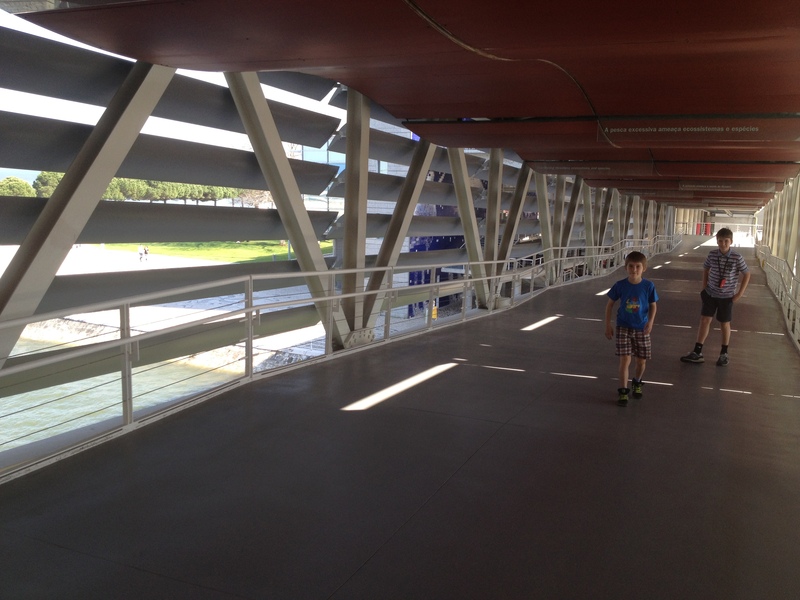 From the ticket office, you take a great walkway that includes sounds of the sea and can be viewed in this picture as our boys cross it. 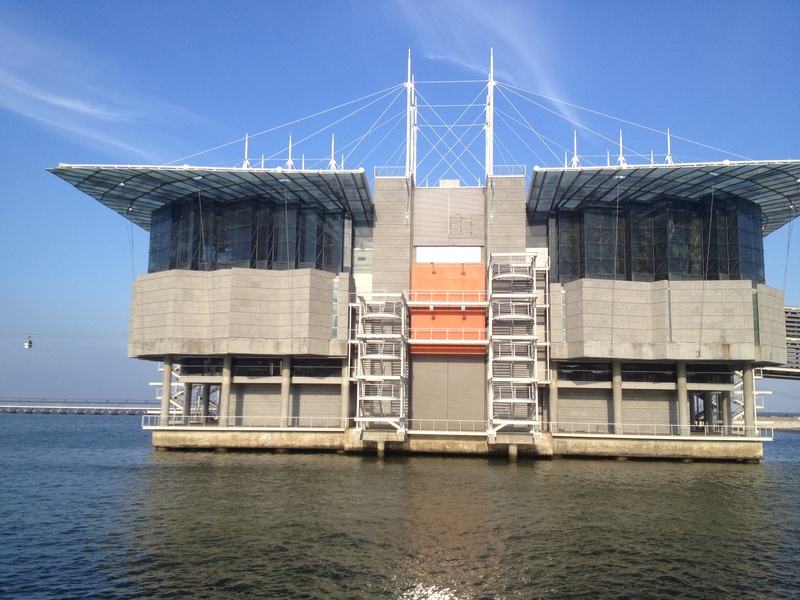 The most impressive part of the aquarium is the central tank, which can be viewed from many different angles and three different levels. 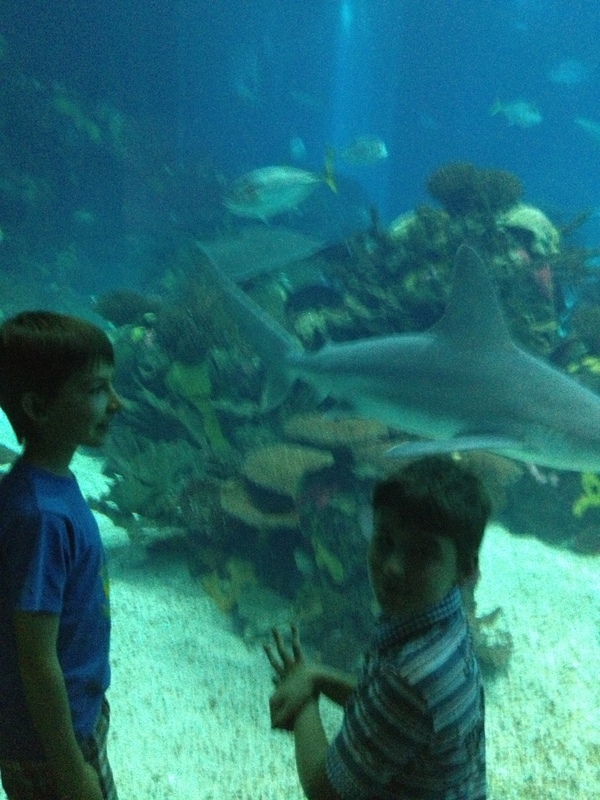 It was best viewed from the lowest level, where we could stand in front of the tank as sea life passed us. This can be seen in this photo. In addition to sharks, barracuda and eels we discovered some impressive new fish that we hadn’t come across before, including sunfish. 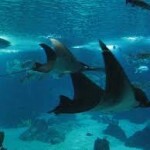 It is also worth noting that throughout the aquarium information is provided in English as well as Portuguese. Unsurprisingly, there is a lot of guff about over-fishing, pollution and global warming but when ignored, there’s still useful information about the sea life! 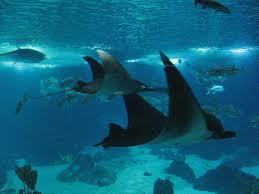 Other sections are divided into sea life from different oceans. We also enjoyed these because they brought back memories of observing sea life in the Caribbean, Indian Ocean and elsewhere. The bathing otters were particularly funny. And there are many smaller sections with great examples of seahorses, starfish, jellyfish and plant life. 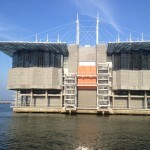 This is a link to the English version of the aquarium’s website which gives all the details including the cost of the (rather pricey) tickets: http://www.oceanario.pt/ Visitors might like to consider only buying tickets for the permanent exhibition. We however bought tickets for the temporary exhibition also which concentrated on turtles. This was enjoyable, although a little disappointing because there were few turtles to be seen. Obviously, this will change as it’s a temporary exhibit. 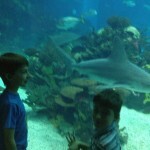 Overall, I would strongly recommend visiting the aquarium with or without children particularly if you enjoy observing marine life. And it goes without saying (although I will) that the apartment was wonderful! Dominic, Laura & sons, Treviso, Italy. 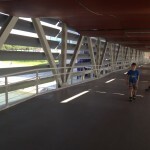 This entry was posted in Carcavelos Holiday home, Family, Lisbon, Uncategorized. Bookmark the permalink.